I think I've come to the conclusion that shortbread is my all-time favourite kind of cookie. 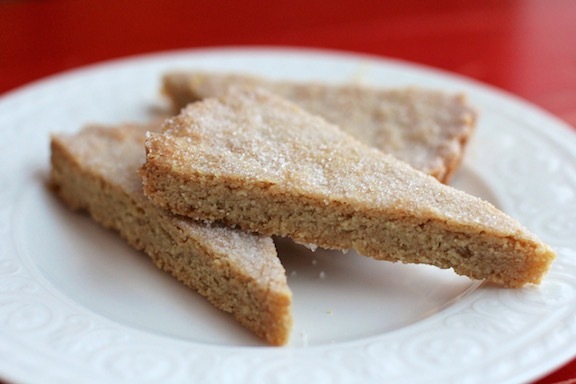 To some, shortbread can be rather boring.... but to me, it is downright heavenly! There's something about the initial "snap" of a shortbread cookie, followed by it's melting into buttery goodness inside your mouth. True perfection! 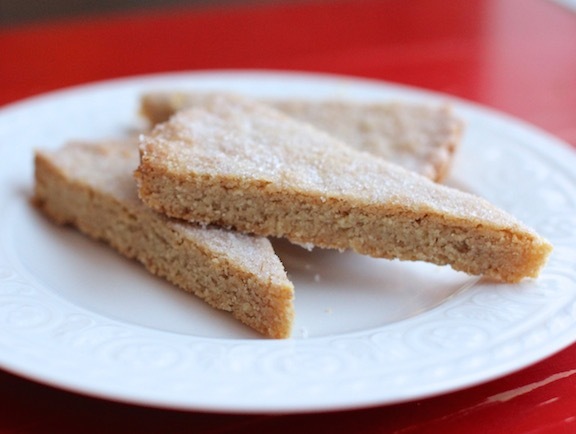 These shortbread are a teeny bit healthier than the standard version, thanks to the kamut flour and ground almonds. But additional fiber & protein aside, the kamut gives the cookie a beautiful golden colour and deep nutty flour that is simply irresistible! 1/2 tsp fleur-de-sel, Maldon, or other flaky sea salt for sprinkling. In a bowl, mix the melted butter, sugar, salt and vanilla. Then add in the flours and ground almonds. Mix until all incorporated. Press the dough into the tart pan, and prick all over with a fork. Let the dough rest at room temperature for at least 30 minutes (you can even leave it on the counter overnight and bake it in the morning). Preheat your oven to 300 degrees F. Position the rack in the lower third of the oven. Bake the shortbread for 45 minutes. Remove the shortbread from the oven but leave the oven on. Sprinkle the top all over with sugar and a bit of flaky sea salt. Let the shortbread rest in its pan for 10 minutes. 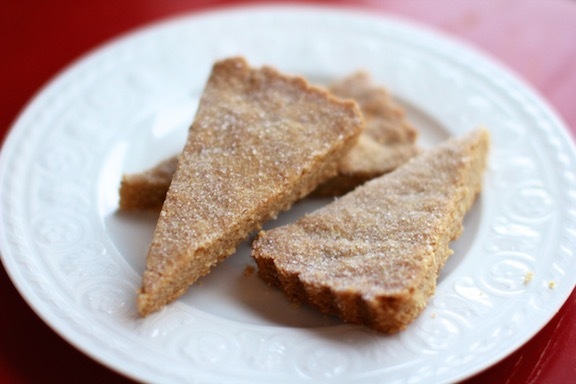 Then remove the shortbread from the pan and carefully slice into wedges. Carefully transfer the wedges to a parchment-lined baking sheet and bake for another 15 minutes. Cool the wedges on a wire rack. (like most shortbread, these will last in an air-tight container for several weeks). *Recipe adapted from Alice Medrich's Pure Dessert cookbook. Yum, with you there on the most favorite! Must try this for the holidays!